Redox reactions are chemical reactions involving oxidation and reduction occurring simultaneously. Oxidising agent is the substance that causes oxidation. Reducing agent is the substance that causes reduction. Oxidation involves loss of electrons and increase in oxidation number. 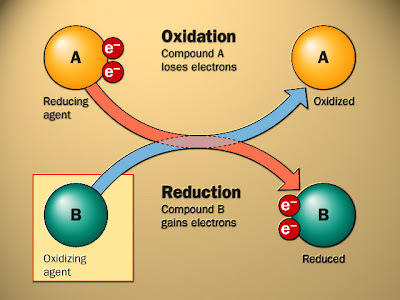 Reduction involves gain of electrons and decrease in oxidation number. The magnesium's oxidation state has increased from 0 to +2 , it has been oxidised. Magnesium acts as reducing agent. The hydrogen's oxidation state has decreased from +1 to 0 , it has been reduced. The hydrogen ion acts as a oxidising agent. There is no change in oxidation number. Therefore, this is not a redox reaction.